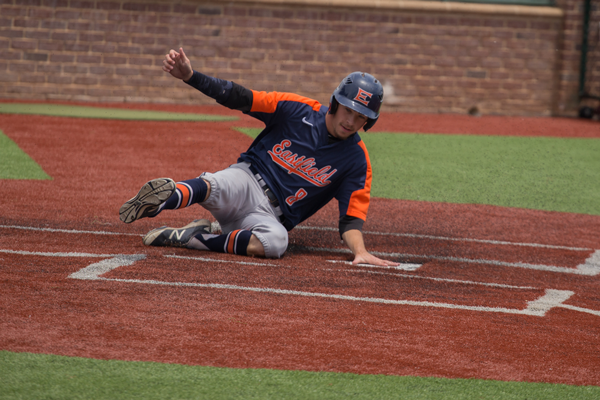 For the second year in a row, The Eastfield Harvesters suffered double elimination after losses to the Tyler Junior College Apaches and the Brookhaven Bears. The Bears scored 10 runs on only 4 hits. The rest of their on-base time came from 11 walks and two hit batters. 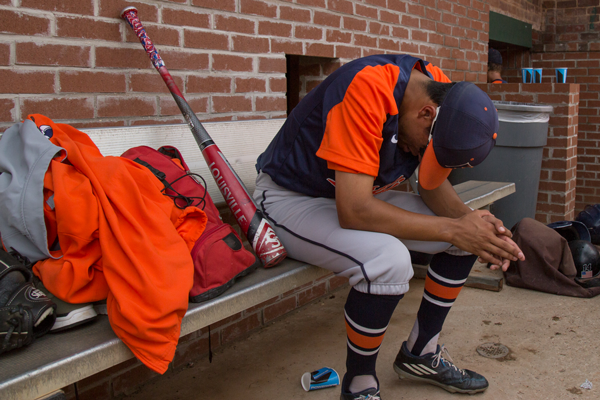 The story was similar to last year for the Harvesters: They won their first two games, one against the Bears, and fell in the same order: first to the Apaches and second to the Bears. The Bears, who last year would go on to lose to the Apaches, will be in the same position this year. They will have to beat the Apaches twice to win the regional title. One victory would be an upset. Two years ago, the Harvesters were the runner-up to the regional championship, losing both of their allotted games to the Apaches. This year, the loss to the Bears ended the Harvesters season Saturday. The Harvesters pitching staff had a hard time finding the strike zone, giving up 11 walks and 2 HBP’s, the accumulation of walks led to most of the offensive production by Brookhaven who had 10 runs on only 4 hits. “You give a team that many opportunities, and they’re gonna take advantage of it sooner or later” Coach Martin said. “They were just not hitting the strike zone, maybe just being a little too fine with their pitches, we’re trying to get them to attack the hitters and make them hit, and make them swing the bat”. Graves said the game could have been different if the pitching was tighter. The Harvester offense put up 6 runs on 11 hits. They had a chance to tie the game in the ninth with Jacob Perry at the plate with the bases loaded and two outs. Instead, Perry flew out to left field to end the game. The Harvesters came out victorious in their first NCJAA Region 5 Tournament bout against the Cedar Valley Suns 10 to 9. The Harvesters had a 10 to 5 lead heading into the ninth inning when Cedar Valley scored 4 runs on three hits and two walks, allowing Eastfield to escape the inning with a one run win. The offense for the Harvesters got off to a hot start scoring six runs on six hits in the first inning. The offense was led by the clutch hitting of Gabe Guzman who went 3-for-4 with a triple and an RBI. Starting pitcher Ryan Boaz got the win pitching six and two thirds innings, giving up five earned runs. This was Boaz’s second win of the season. The Harvesters came out victorious against the Brookhaven Bears in the second matchup in the tournament by the score of 6-4. Five of the six Harvester runs were scored in the fourth inning. Jordan Parker and Jake Milton hit RBI singles in the fourth giving the Harvesters a lead that they would never relinquish. Starting Pitcher Paul Bowman pitched 6 2/3 innings giving up 4 runs, all in the seventh inning, while walking 5 and striking out 3. In the Harvesters third game of the tournament, they suffered their first loss to the Apaches by a score of 9-2. 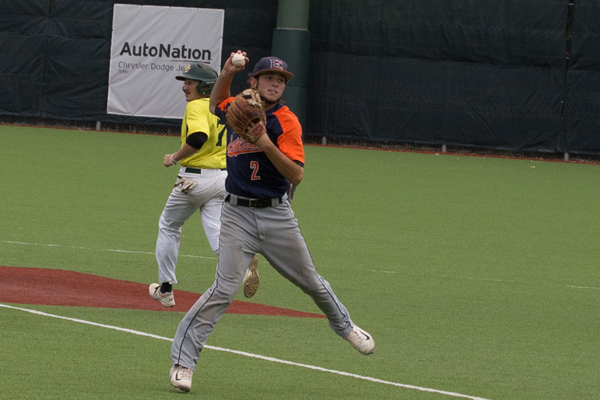 Harvesters shortstop Blake Seagraves was caught stealing third to end the game in the bottom 9th. Seagraves has only been caught stealing one other time this season. He has successfully stolen bases five times this season. The pitching staff couldn’t contain the Apaches, giving up nine 9 on 15 hits. Michael “Big Mike” Tamez pitched 5 2/3 innings giving up 5 runs, Tamez has a 5.21 ERA with a 5-4 record. Ben Simpson gave up four runs in 3 1/3 innings of work, Simpson has a 7.39 ERA and a record of 4-1. In two different instances the Apaches had bases loaded against Harvester pitching that struggled to get outs. Most of the offensive performance was characterized by “out at first,” with their primary means of getting out being the ‘groundout’. Racking up just 2 runs on 6 hits, the Harvester batters seemed to hit the ball right were the defense was. 14 of the harvester outs came via the groundout. The Harvesters finish their season with a 27-26 record, 17-15 in conference play. Among the players departing the team there were hugs and crying immediately after the game. Players who are leaving the team include Skylar Black, Joseph Sanchez, Paul Bowman and Gabe Gonzalez.